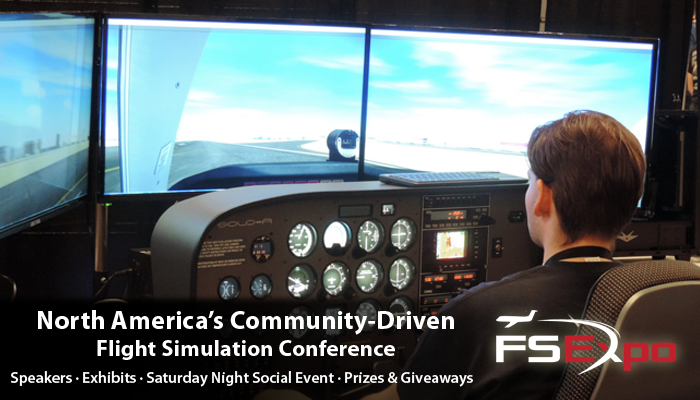 Global Flight simulation event FlightSimExpo is now in its second year, after a very successful event in 2018 - now with more sponsors, more speakers and more coverage than ever before. The 2019 event is taking place at Renaissance Orlando at Sea World, FL, between the 7-9th of June. 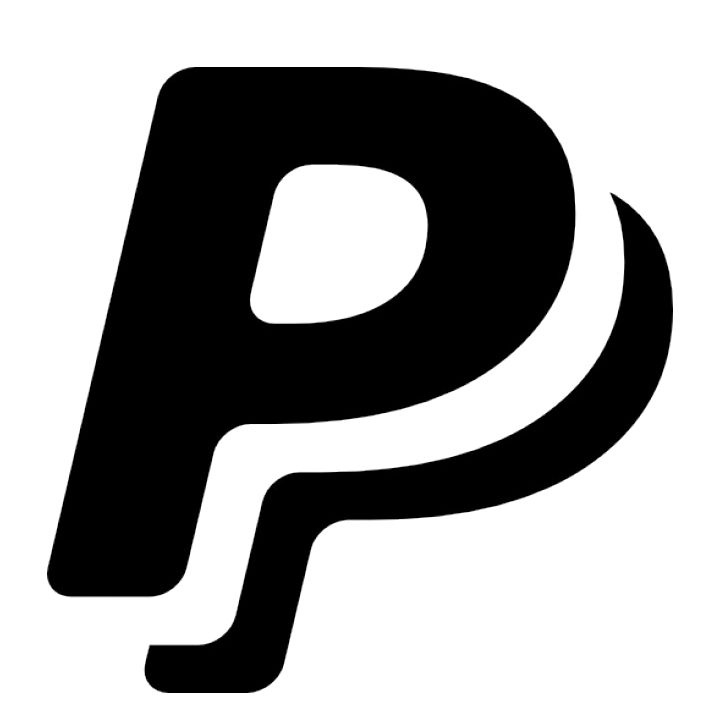 Threshold will be in attendance, reporting on all the X-Plane news as it happens. We previously reported on the opening of registrations for the event back in December of last year. The FSExpo team have now released the speaker schedule for the event, which is just around two months away. After this, the conference splits into "Right Seat" and "Left Seat" rooms - the "Right Seat" playing host to Prepar3D, Gleim Aviation, Parallel 42, Virtual Fly, Mettar Simulations, Noble Flight Simulation, and Mindstar Aviation, who all have the chance to share news during their 30 minutes on stage each. Sunday features much the same kind of content. Notably for us X-Plane users, on Sunday, the Left Seat will play host to an X-Plane landing competition. 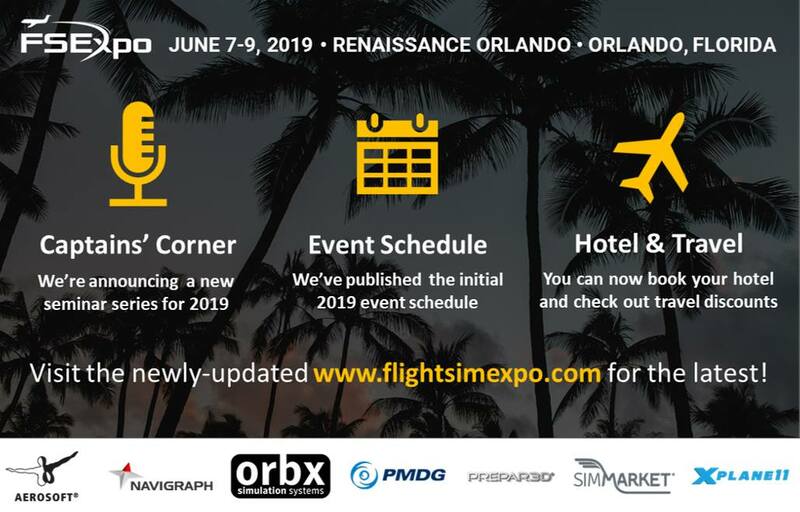 As for media partnership, Threshold has been recognised as an affiliated media partner, and will be present at the event covering all the X-Plane news - so stay tuned for more FSExpo news! Make sure to keep an eye on our FlightSimExpo hub page for news as it happens over the weekend. You can find it here.